Rated 5 out of 5 by Dcarlton from Super Z Hyper Drive -- Right tool for the job! I have owned three 35hp Kawasaki 60" machines and they are absolutely second to none. They are designed with power, serviceability, and overbuilt ruggedness that is not found in other machines. Other than typical wear items, I have not experienced any problems whatsoever and would highly recommend to any professional looking for the ultimate mower. The ride is good, but the smoothness of the hydraulics is where you really get to experience what you have invested in. Blades are a snap to change and the the grease fittings are easy to access. Will purchase again when its time to replace. Rated 5 out of 5 by Poodlemom from My all time favorite mower! I have ridden many different types of mowers over the past 20+ years and the Hyper Drive is my absolute all time favorite! The seat was the first thing I noticed- it is amazingly comfortable, I also like the handling and how it leaves a clean cut. Maintenance is also very easy and the dealer we bought from is very helpful and supportive. Rated 5 out of 5 by Norski from Built to last This is the 2nd Hustler mower in our family. They are a very well built from top to bottom. My wife loves mowing with the rear discharge, because you never get any grass or derby thrown at you even on ditch banks. Rated 5 out of 5 by Matthew from What a BEAST of a lawnmower!! I've had my Super Z HD for 2 seasons now and I love it. The only thing I would change is it would be nice if there were clear fuel level indicators on each of the gas tanks (like the previous Super Z models) and the stock front caster tires are very thin and cant get punctured easily. Do you make a snowblower atachment for the super z? I am getting ready to trade in my old super z and looking for a combo unit like Grasshopper. I am sorry, we do not sell any snowblower attachments. Thank you for asking. Hi Bob, Thank you for your question. We do not give estimates on gallons per hour because there are so many variables that can affect this. Some of these include the levelness of the terrain, the length of the grass, the moisture in the grass and how fast the mower is running. 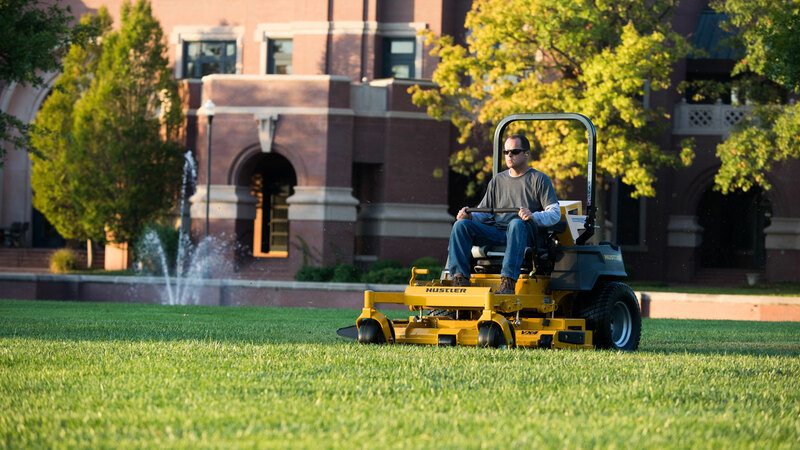 Your local dealer can give you a more accurate estimate for the conditions you are mowing in. Thanks! My back gives me problems. How comfortable is the Husler ? How does the mower cut in wet grass? Does it leave clumps?